My cousin got married here in AZ, but her family and the groom's family were both from other states, so we threw together a quick, inexpensive luncheon for their wedding day. 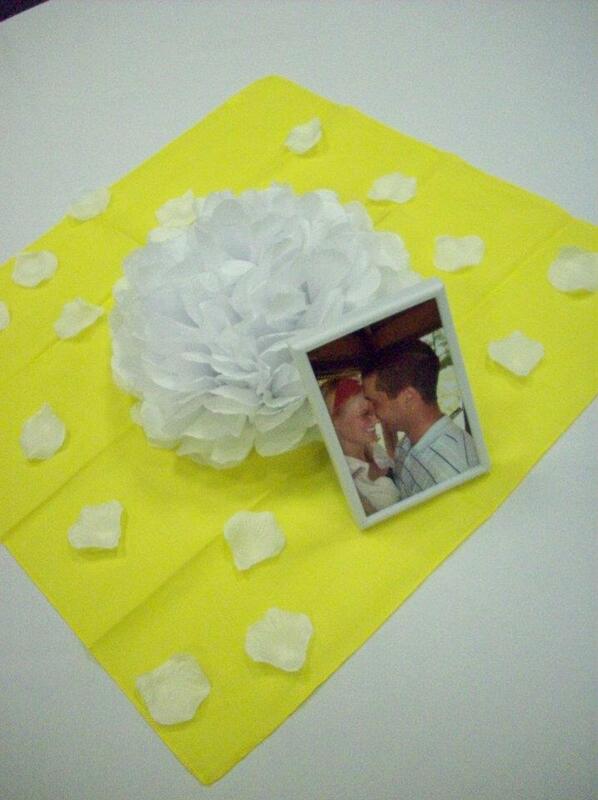 The centerpieces were yellow squares of material from Hobby Lobby (99cents), some petals, tissue paper flowers that were so easy to make, and a picture of the couple (frames were 3 for $2.50 at Target). I made the cake and topped it with a yellow tissue paper flower. 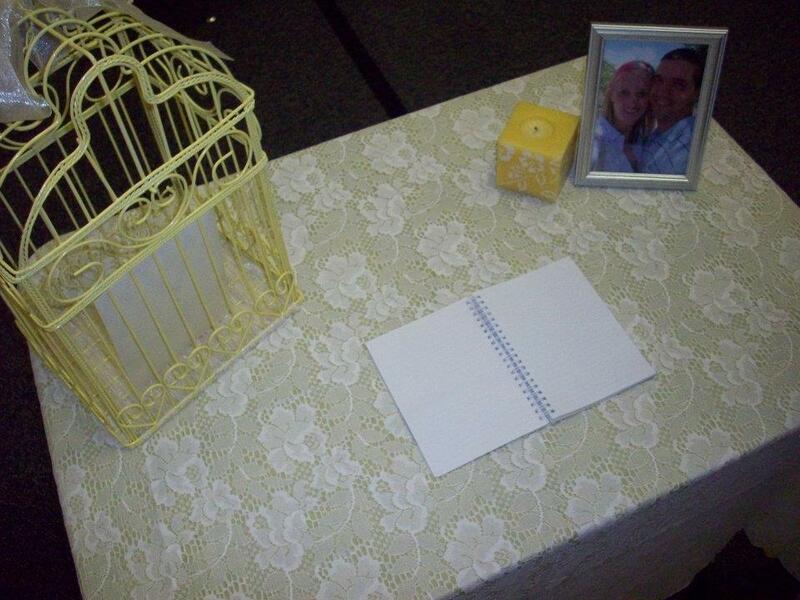 Behind the serving table, we hung some lace that my mom already had, and I made fan circles out of scrapbook paper. I also got a wreath from the dollar store, made some fabric flowers out of scraps, and added a letter "M" ($1.50 at JoAnn's), and hung it on the backdrop. For the sign in table, we borrowed a yellow bird cage for cards, and put a yellow candle by a framed picture of the bride and groom. 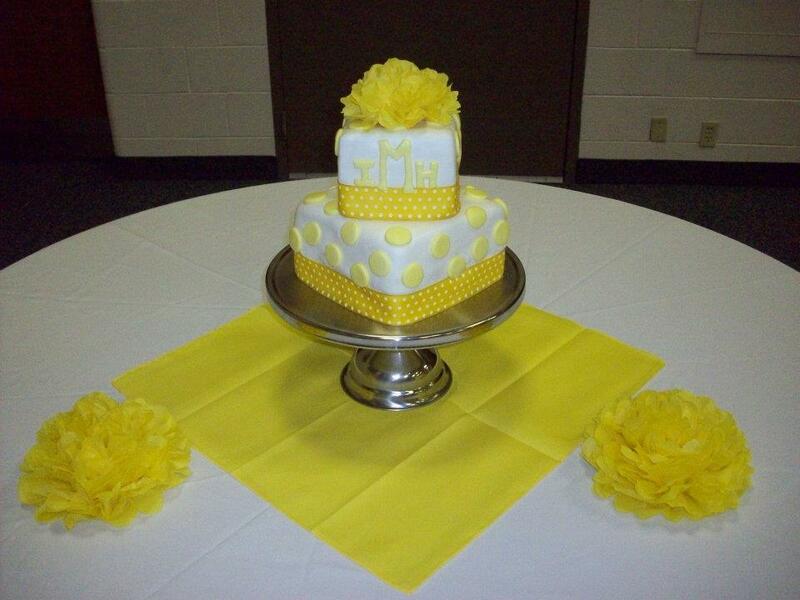 For very little money, and not much time to prepare, we pulled off a cute little reception for their big day! 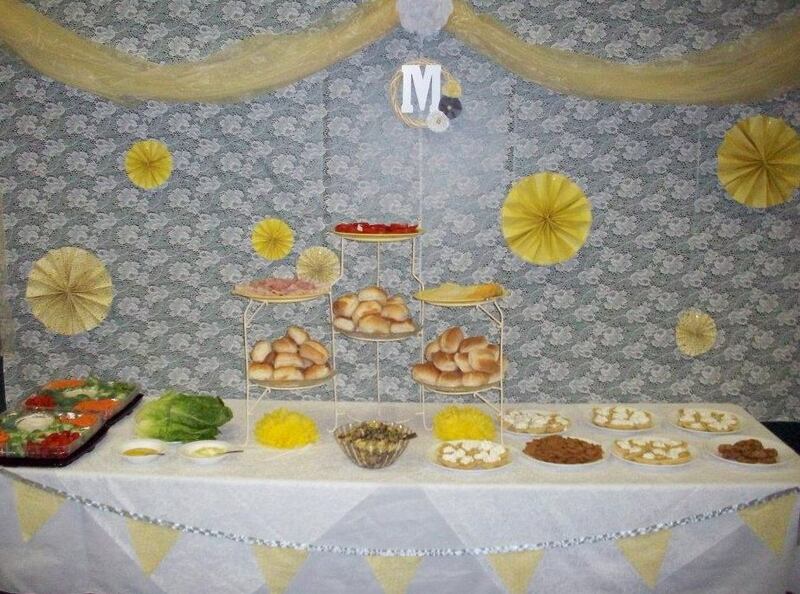 I really love the paper fans and lace behind the food table- so cute! we need to start a family wedding planning business. you on cakes, buff on dresses, etc. It'd be hot. You guys did a beautiful job. I am sure in a few years I will be calling the Smith sisters for advice and help.